Low priced hi-hat with top features! The Classic Cantabile Hi-Hat Stage is ideal for drum beginners. It offers top-notch workmanship and professional features that one often seeks in vain in this price range. The double braced legs provide, together with the non-slip rubber feet, a safe stand. The massive base plate and the chain ensure absolute playing control with an open hi-hat. The system works smoothly and cleanly. 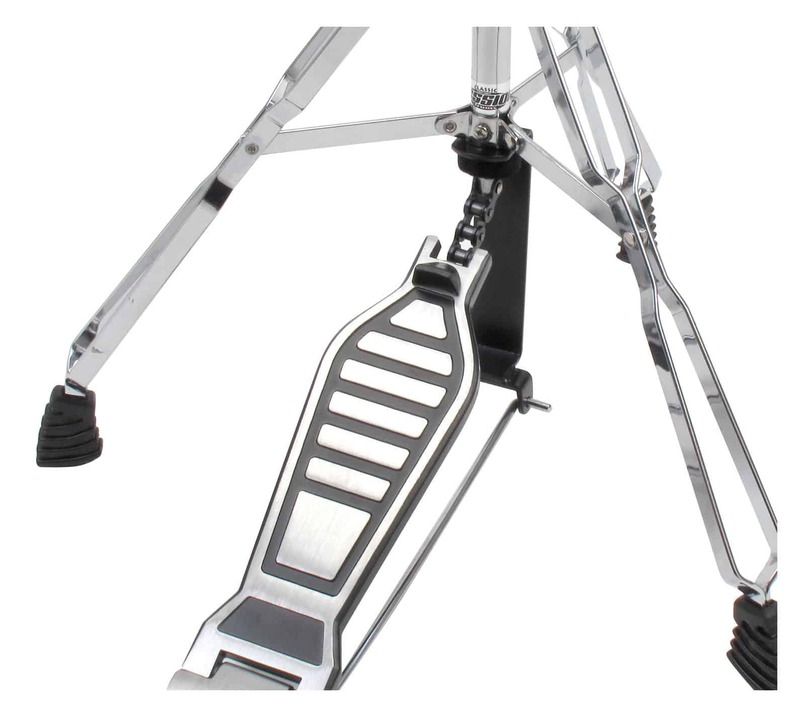 Other professional features include a Memo-lock, with which the pedal can be set up at any time at the desired height and a tilter for the hi-hat cymbal. Stable wing nuts complete the fully convincing picture of this inexpensive hi-hat machine.